The winter months tend to be the most popular time for future newlyweds to plan their big day since most people get married in the spring or summer. There are lots of big decisions that these couples have to make about their wedding day, but none of them is more important than choosing the catering service. The type and quality of food that people eat at a wedding is easily one of the most memorable parts of the day. Choosing a great caterer can make your day incredibly memorable in the minds of the people who attend; choosing a bad caterer can make the day equally memorable for all of the wrong reasons. 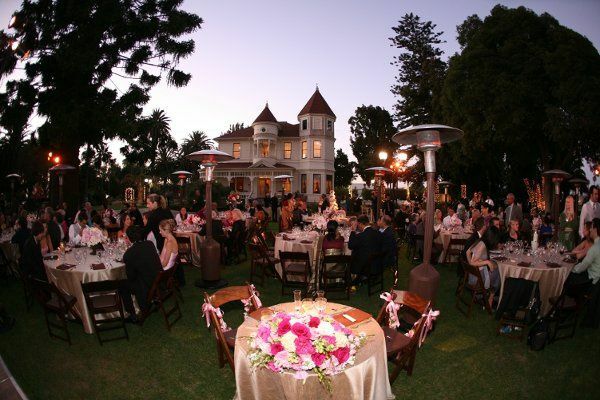 There are five things that you need to look for in wedding caterers to ensure they contribute to your big day and don’t detract from it. 1. Cook the type of food you’re looking for. First, you need to make sure they’re able to cook the food you’re looking for. If you have lots of vegetarians attending your event, then you need to make sure they’re able to create such dishes along with the meat dishes you ask them to make. This is your big day, not theirs, so make sure they’re going to work hard to deliver on whatever you ask them to. 2. Can meet your quantity demands. Second, it’s critical that they’re able to make the quantity of food that you need. If you’re planning on having a huge wedding of three hundred people or more, then they need to be able to make a massive amount of food. Some caterers have size limits, so be sure to ask about these before you hire them. 3. Bring their own silverware. The best wedding caterers out there, like Bella Donna Catering, will bring their own silverware. This means that they’ll set all of the tables and handle all of the cleanup when the wedding is over. You won’t know how much of a convenience this is until the reception is over and you realize you don’t have to do anything but go home, but just know now that it’s something you should be looking for. 4. Have a great reputation. If the wedding caterers you choose are able to deliver on the first three things in this list then they likely have a strong reputation. Nonetheless, you should do your homework to see what people who have chosen them in the past actually think about them. One of the easiest ways to determine if a caterer you’re choosing is going to be able to deliver on what you’re asking them to do is to see if their past customers have felt they delivered. Read reviews and look for testimonials to gain an understanding of how well a specific wedding caterer has done in the past. 5. Fit within your budget. Finally, it’s wise to ask about pricing up front to ensure that they fall within your budget. The last thing you want to do is go into your first day of being married with a huge amount of debt.